Development of personal and social skills in a classroom prevents later drug use and alcohol abuse, and influence-related risk factors. However, clinical trials on the potential impact of such programs from low- or middle-income countries remain limited. Lions Quest Skills for Adolescence (LQSFA), a school-based prevention intervention supporting life skills, was implemented in three South East European countries. This was a collaboration between the United Nations Office on Drugs and Crime, the Lions Clubs International Foundation, and the Ministries of Education of Serbia, the Former Yugoslav Republic of Macedonia and Montenegro. The pilot was a multisite non-randomized trial. A total of 2964 elementary school students received the intervention through 232 instructors trained by the same internationally certified trainer. These were compared to 2232 students following the regular curriculum, which does not include LQFSA, in the same elementary schools. The assessment was done at the beginning and at the end of the same academic year (period of 10 months). Despite limited fluctuations, the overall results indicated an encouraging outcome on the current use of substances (alcohol, cigarettes, and marijuana) as well as intention to using these substances in the next 3 months among current users. 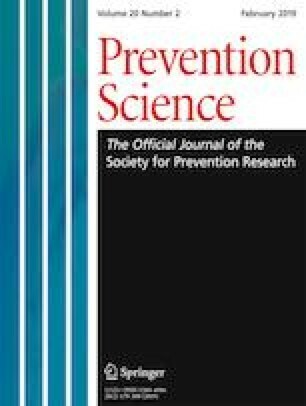 This study attempts to address this aforementioned gap in literature and contributes to the body of research demonstrating the value, feasibility, and transferability of life skills programs in achieving prevention outcomes in South East Europe. Moreover, it paves the way to a future randomized clinical trial to further corroborate the results, overcoming limitation in current study design. Ms. Marianne Jansson, the Lions Quest Senior trainer Coach, Stockholm, Sweden; Ministries of Education of Montenegro, Ministry of Education and Science of FYRO Macedonia and Ministry of Education, Science and Technological Development of Serbia; Dr. Gilberto Gerra, Chief of Drug Prevention and Health Branch of UNODC; Ms. Ekaterina Kolykhalova—Coordinator of the UNODC Regional Programme for South Eastern Europe; Mr. Bojan Milosavljevic, UNODC Programme Office in Serbia, Ms. Nina Fabiola Montero Salas, UNODC Office in Vienna; the members of Lions Clubs International of Montenegro, FYRO Macedonia, and Serbia; and finally all instructors and study participants. The study was funded by the Lions Clubs International Foundation (LCIF) and the Government of Sweden. The Lions Clubs International Foundation (LCIF) is the owner of the copyright to the Lions Quest program. Matthew Kiefer is the program manager for LCIF. He receives no commission or financial incentive for increased sales of the program. This was a pilot study, which was reviewed and approved by the Ministries of Education of the three countries, the representatives of the schools, and the UNODC Drug Prevention and Health Branch. Also, no personal identifiers, for the participating students, were collected. All procedures performed in studies involving human participants were in accordance with the ethical standards of the institutional and/or national research committee and with the 1964 Helsinki declaration and its later amendments or comparable ethical standards. Permit for the study was received from the Ministries of Education, schools, and teachers. Informed assent was received, verbally, from the students, and their participation was voluntarily. No personal identifiers were collected and students were given the option to opt-out by submitting the self-filled questionnaire blank, in case they prefer not to answer. Davis, S. (2015). H.R.497—Supporting emotional learning act. https://www.congress.gov/bill/114th-congress/house-bill/497. Accessed 15 Feb 2019. El-Khatib, Z. (2004). EpiData for data entry and documentation. Retrieved from http://www.epidata.dk/downloads/epidataguideziad.pdf. Accessed 15 Feb 2019. Lions Club International Foundation. (2018). LCIF programs. Retrieved October 12, 2017, from http://www.lcif.org/EN/our-work/index.php. Accessed 15 Feb 2019. Spear, L. P. (2013). Adolescent neurodevelopment. Journal of Adolescent Health., 52, S7–S13. https://doi.org/10.1016/j.jadohealth.2012.05.006. United Nations Office on Drugs and Crime (UNODC). (2018). Prevention drug use among youth works. Retrieved April 10, 2018, from www.unodc.org/unodc/en/prevention/. Accessed 15 Feb 2019.